A unique collection of beautiful and greatly loved traditional tunes from around the British Isles. 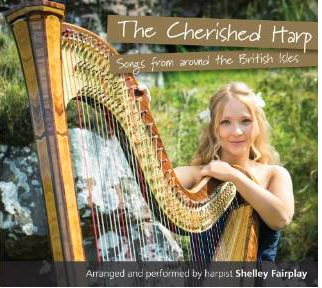 The tracks have been specially arranged and performed on the harp by harpist Shelley Fairplay. Melodies include delightful favourites such as Skye Boat Song, The Water is Wide (O Waly Waly), Ash Grove (Llwyn Onn), Scarborough Fair, Londonderry Air (Danny Boy), All Through the Night (Ar Hyd y Nos). This acclaimed music collection allows the listener to enjoy the wonderful sound of this exceptional instrument, The Cherished Harp.